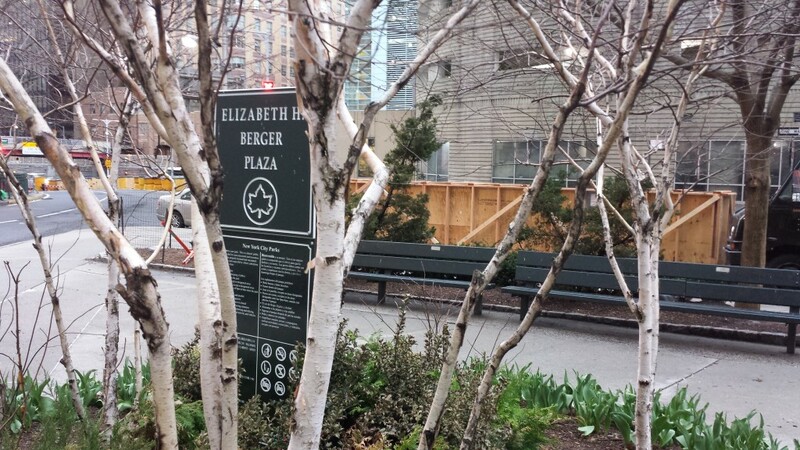 Only a block away from New York’s oldest park, Bowling Green, sits Elizabeth Berger Plaza. 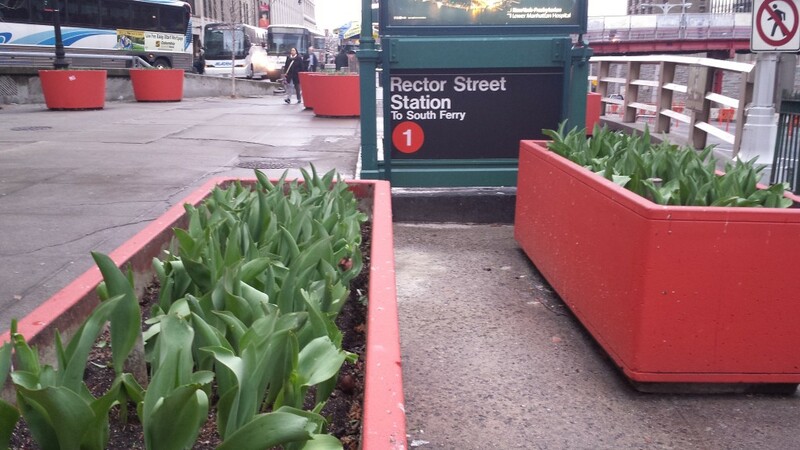 This triangular, nondescript green space sits at the entry to Battery Park Tunnel and is an exit for Rector Street Station for the #1 train. 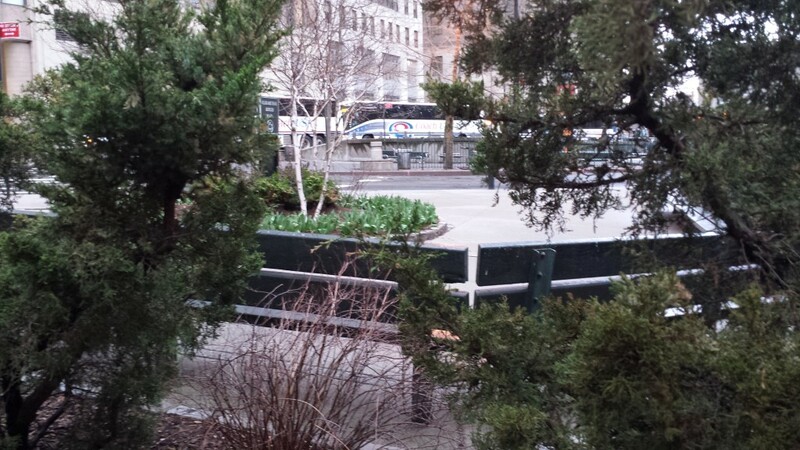 Berger Plaza offers potted plants, trees and benches to relax. 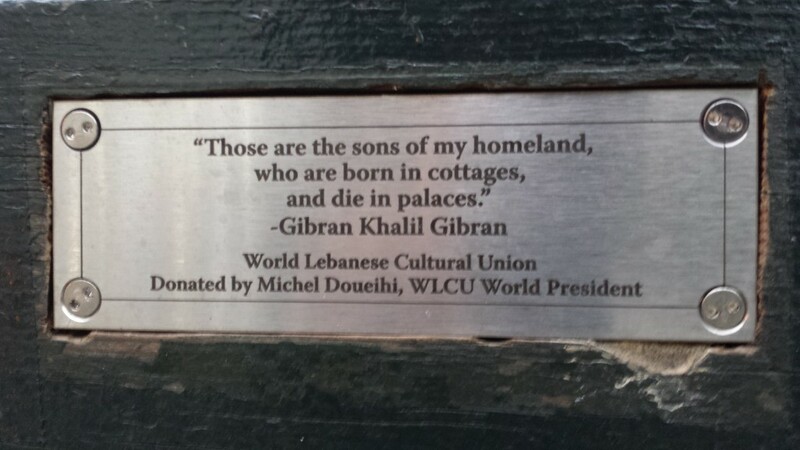 Historic plaques adorn benches. 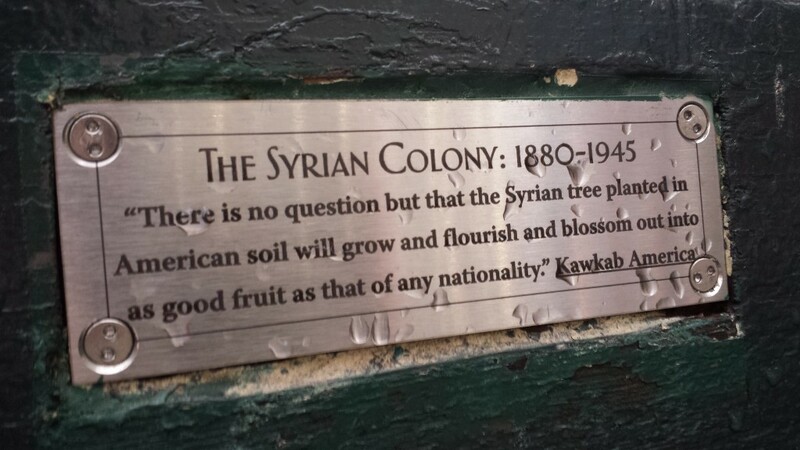 These commemorate that the location was once called Little Syria – before being displaced by the construction of the tunnel. Undoubtedly a much quieter space then. 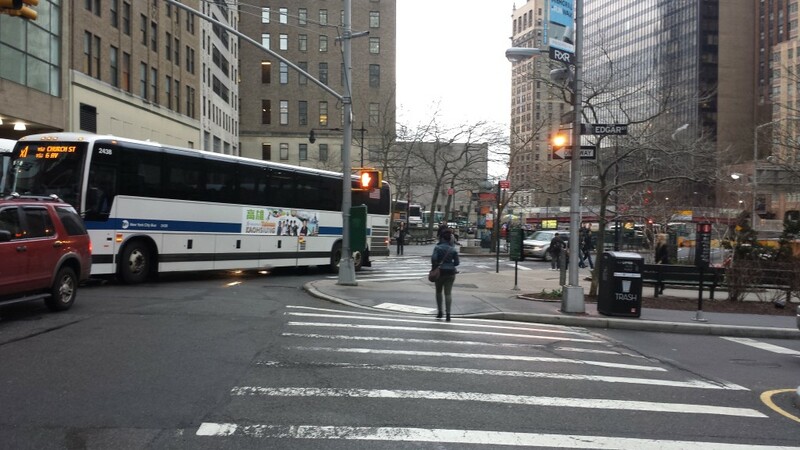 This entry was posted in new york city and tagged Battery Park Tunnel, Bowling Green Park, Elizabeth Berger Plaza, Little Syria by McPhedran. Bookmark the permalink. 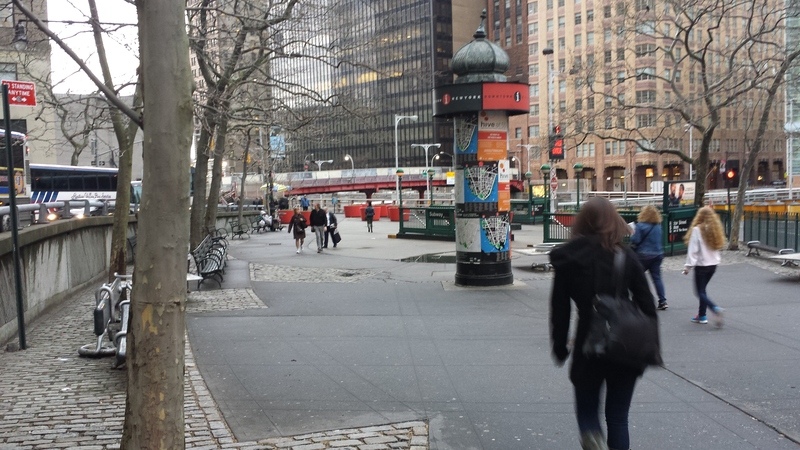 I’m familiar with this park for two reasons – I use this subway stop to get to my dentist and on my weekend run I go through this park on my way to Battery Park – now I know a bit of its history. More on the displacement of peoples please, especially for benign reasons like train stations and roads and military bases,..
What happened (courtesy of wikipedia): Little Syria was a largely Arab-American but widely diverse neighborhood that existed in the New York City borough of Manhattan from the late 1880s until the 1940s. 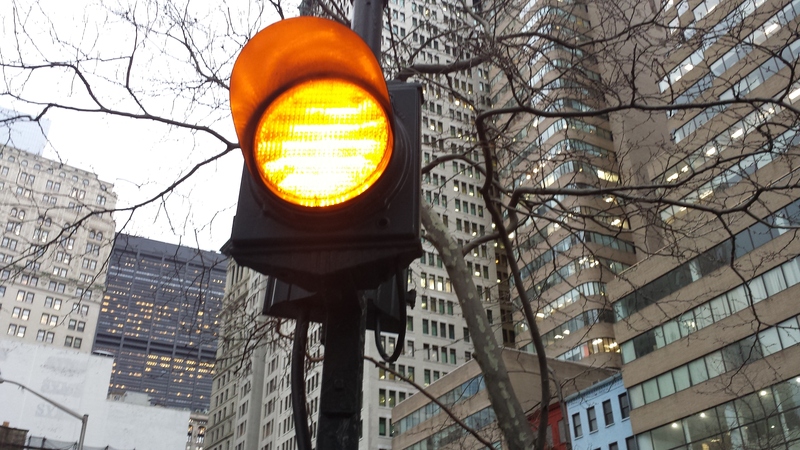 Also called the Syrian Quarter, it encompassed Washington Street from Battery Park to above Rector Street. The enclave, in its greatest reach, overlapped with the future site of the World Trade Center – the cornerstone of St. Joseph’s Maronite Church was found in the rubble after the September 11 attacks. It declined as a neighborhood as the inhabitants became successful and moved to other areas, especially Atlantic Avenue in Brooklyn, and disappeared almost entirely when a great deal of lower Washington Street was demolished to make way for entrance ramps to the Brooklyn-Battery Tunnel.